It has the brightest, most colorful Mac notebook display. And it features up to 10 hours of battery life. It's a notebook built for the work you do every day. Ready to go anywhere a great idea takes you. 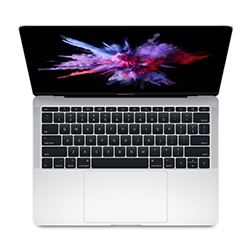 Every Mac comes with a one-year limited warranty and 90 days of telephone technical support.